No picture. No age. No name. No signup. A new dating app is taking anonymity to the extreme, but only for women. Pickable bills itself as the first and only dating platform to completely remove women’s exposure in the online dating world. 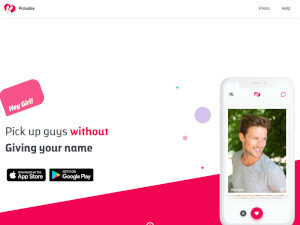 Female users of the recently-launched app are not required to upload a photo, write a description, or include their name and age in their profiles. In fact, they don’t have to sign up at all. Women can download Pickable and immediately start browsing with full anonymity, free from any fear that friends, family members, or colleagues might stumble across their profile. Tamara Goldstein, the founder and CEO of Pickable, told Yahoo Finance that she was inspired to create the app after worrying that her own dating profile would be exposed to her professional network. She wanted her account to be visible only to relevant and appropriate men, while remaining hidden from any personal connections. When she couldn’t find an app that met her needs, she created her own. Pickable is also designed to streamline the dating experience for men. Male users upload a picture and set themselves as “pickable” for a certain timeframe. Then they sit back and relax, and wait for women to contact them. 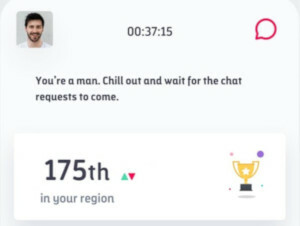 They never need to swipe through potential matches; they simply look through the chat requests they have received from women and choose who to reply to. 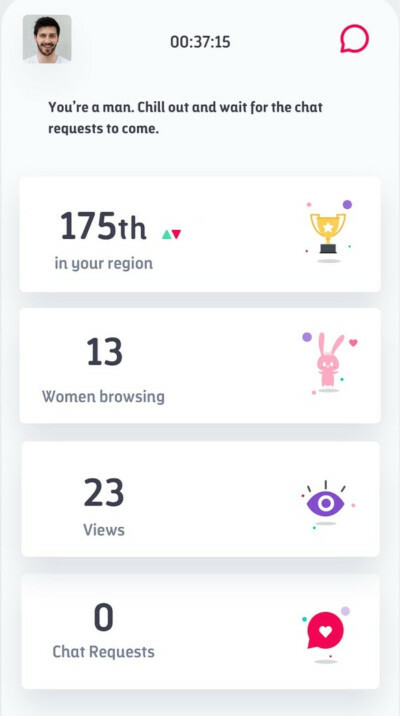 Pickable’s accounts for men feature a dashboard with real-time updates of women currently browsing nearby and looking at their pictures. Connections are location-based to encourage meeting in person over endlessly messaging. Overall, Pickable’s goal is to provide a dating platform that’s safe, uncomplicated, and convenient. Pickable is now available for iOS and Android. Watch the full interview with Yahoo Finance here. Nice. In this day and age an app that promotes sexism. Its tough enough for guys with ratios being between 1 in 17 to 1 in 50 in most popular dating sites. Now its 1 to..........? If men did this we would be racked over the coals. HAHAHAHAHA...you have got to be kidding me? The only guys that will participate in this will find out quickly its a losing proposition and the ones left will all be loser types that cant get a date to save their souls. Once women realize this the decent will all leave. The end result after about six months will be the bottom of the barrel of both sexes while the company tries to figure out how to rip their clients off of any money they can get before everyone is gone. This will work for a short amount of time and once the honeymoon is over it will be done. Here's a fork.